Several of our clients realize now is a great time to buy a home. In Fact, Ben and I helped more buyers purchase this year than any single year in our careers. I'm realizing as the year comes to an end, I may have overlooked why the next 3 to 6 months might also be a great time to sell. There are 5 good reasons I believe 2015 will be a good time to sell your home. You'll find them below. My most recent analysis of the Intown Atlanta Real Estate market shows a 5.2 percent increase in sales when compared to this same time in 2014. Sales have remained above last year's levels going on 3 years now. There are serious buyers out there, and they're looking for their dream home. It could be yours. Housing inventory in the Intown Atlanta neighborhoods has decreased significantly in the last 12 months. There's only a 3 month supply at the current sales pace, compared with more than 6 months supply in 2013. Ben and I expect the number of homes for sale to continue decreasing into the summer of 2015. Selling now while demand is high and before supply is low could help you get your best price. Within the past few years, if you were selling your home in the Intown market, you didn't have to compete with a new construction project around the block. However, the market has been recovering, and builder confidence has increased. As a result, we're seeing a surge of teardowns and large scale renovations throughout Decatur and the surrounding neighborhood markets. These ‘shiny’ new homes are your competition, and a sought-after alternative for many Intown buyers. If your home is of older construction, or could use a few upgrades, you might want to sell now before buyers are lured to turnkey homes. According to Freddie Mac’s Primary Mortgage Market Survey, interest rates for a 30-year mortgage have shot up to 4.57%, which represents a jump of more than a full point since the beginning of the year. The Mortgage Bankers Association, Fannie Mae, Freddie Mac and the National Association of Realtors are in agreement that rates will continue to climb. Whether you're moving up or moving down, your housing expense will be more expensive a year from now if a mortgage is necessary to purchase your next home. 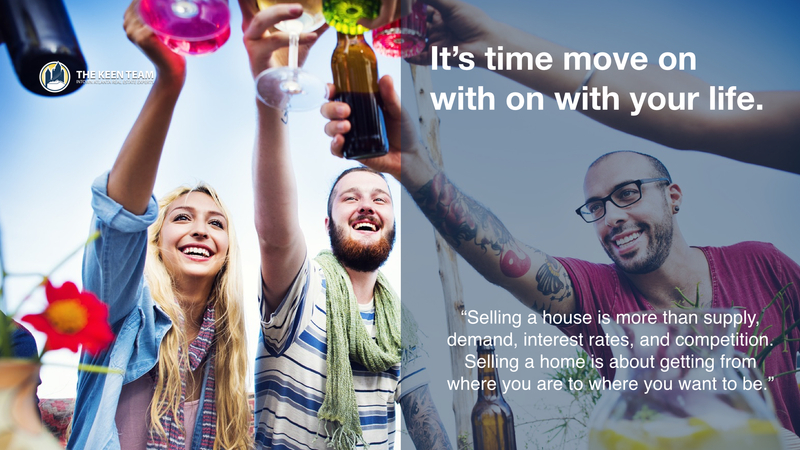 Selling a house is more than supply, demand, interest rates, and competition. Selling a home is about getting from where you are to where you want to be. It's important to consider what's important to you about selling your home this year. Is the possibility of a few extra dollars more important than being with family; more important than your health; more important than having the freedom to go on with your life the way you think you should? You already know the answers to these questions. You have the power to take back control of your situation by putting your house on the market today. The time has come for you and your family to move on and start living the life you desire. Because that's what is truly important.